I didn't quilt last night… I watched TV instead, but up early this morning and I put plans in place. 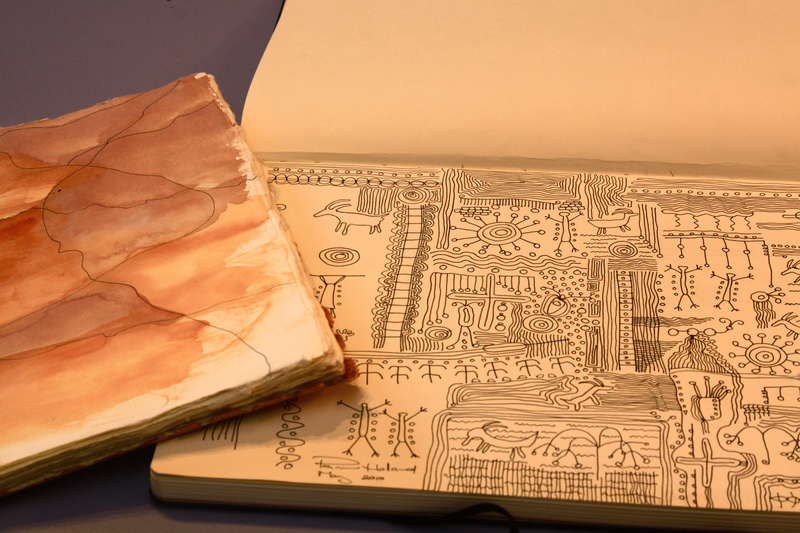 I began by thinking of the designs in my sketch book. 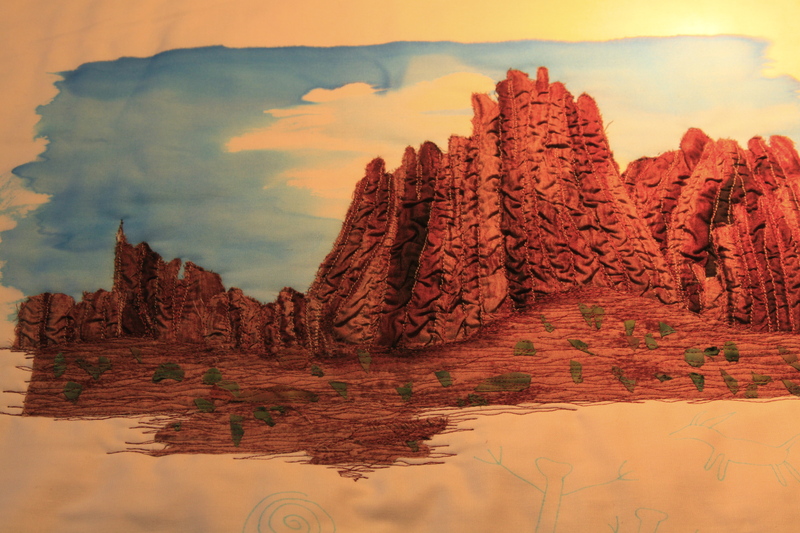 These are designs I did after visiting the mountains in St George Utah. 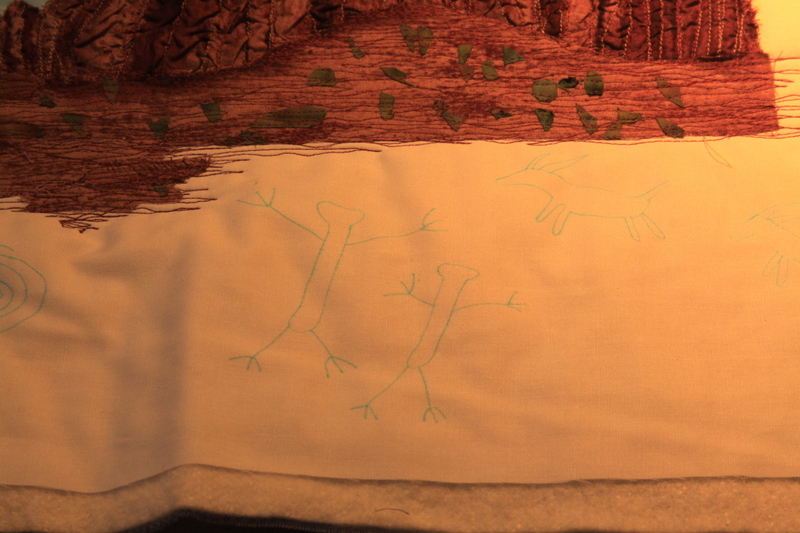 I've stitched the image down (freemotion) and then added a little illustrative quilting to the bottom of the quilt. I've drawn some of the images from my sketch book onto the white background… I used the clover washout pen. I will quilt the images in color and fill in with the texture in my sketch book in white which will make the images stand out. Next PostWorking on the quilting.